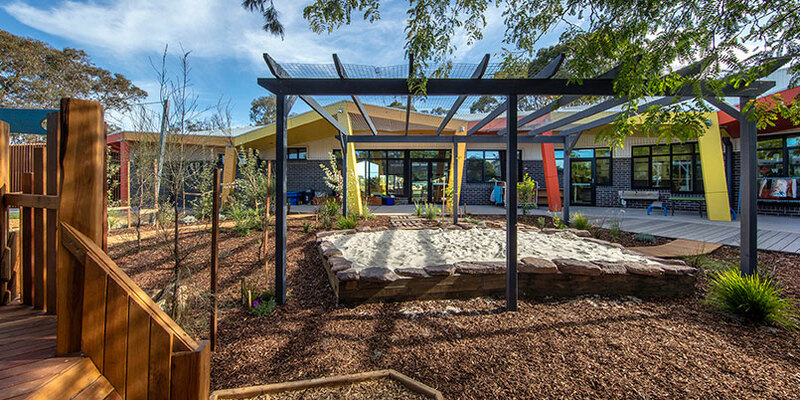 One of Mordialloc Preschool's stated aims is to encourage and assist children to build awareness and curiosity about the world around them. 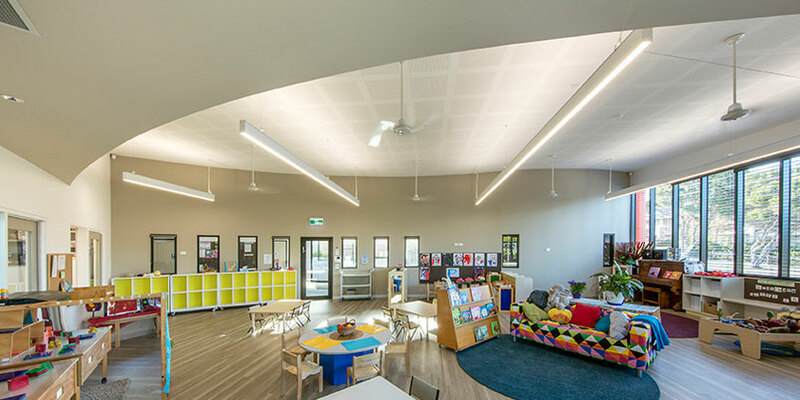 The Preschool's new building provides a setting for a caring, stable and positive environment, accommodating the needs of staff in the performance of their duties and reconciling these with requirements for constant supervision by providing targeted transparency and views throughout. 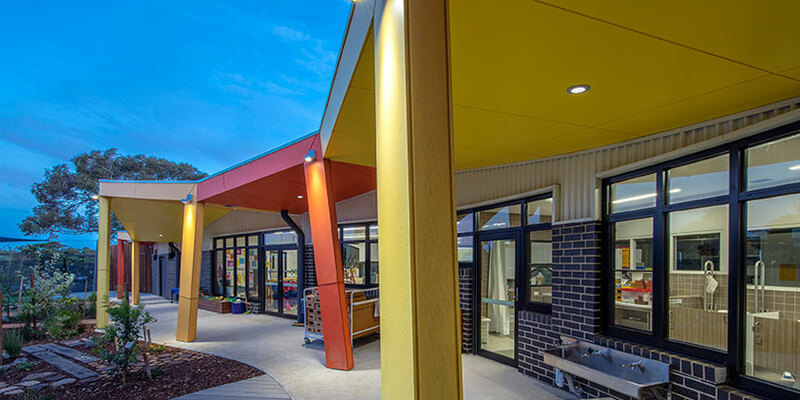 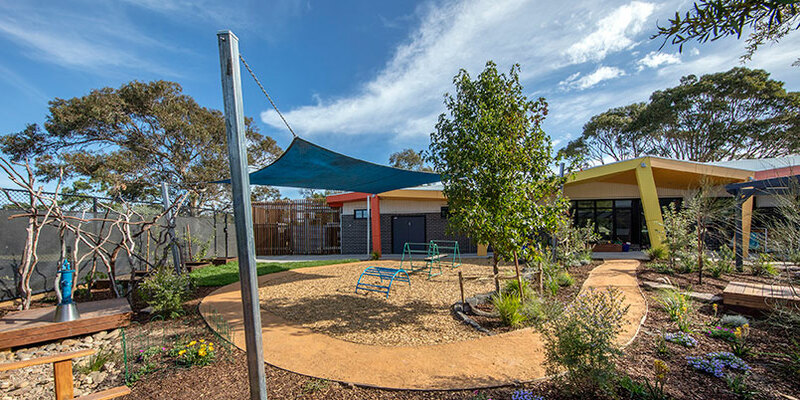 The building is for and about children, enabling and encouraging them to develop a connection and relationship with their environment by providing naturally lit indoor play and ablution spaces which connect directly to the outside veranda which cranks, kinks and dances around the outside play areas. 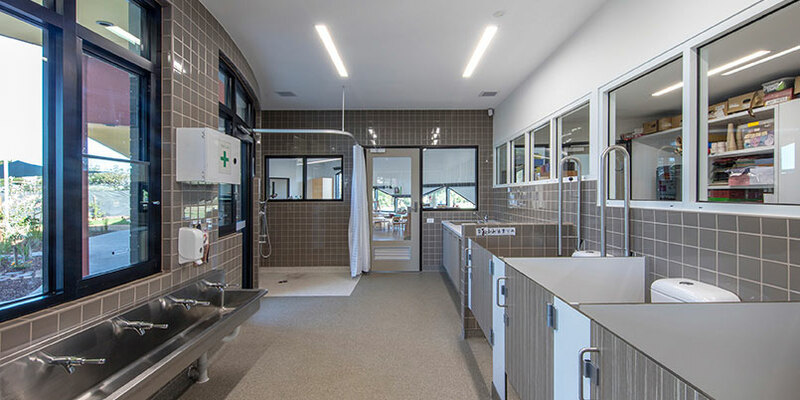 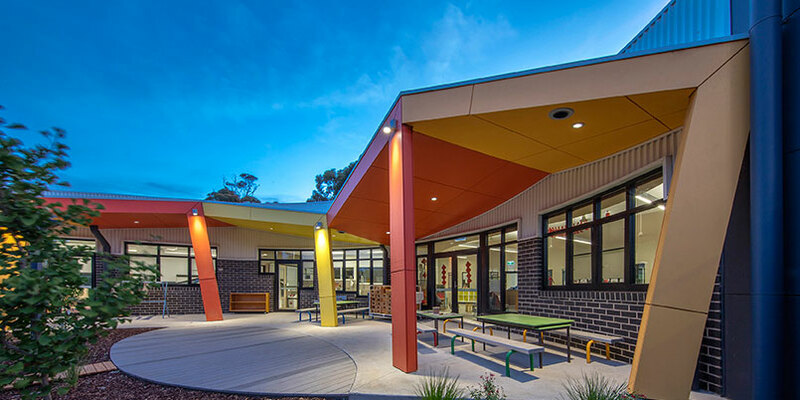 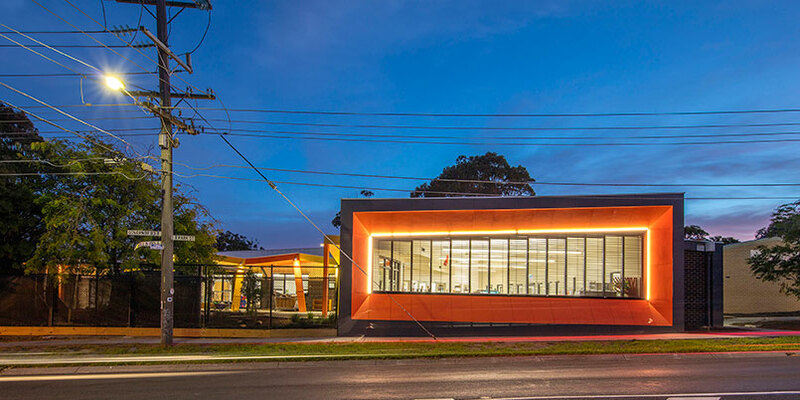 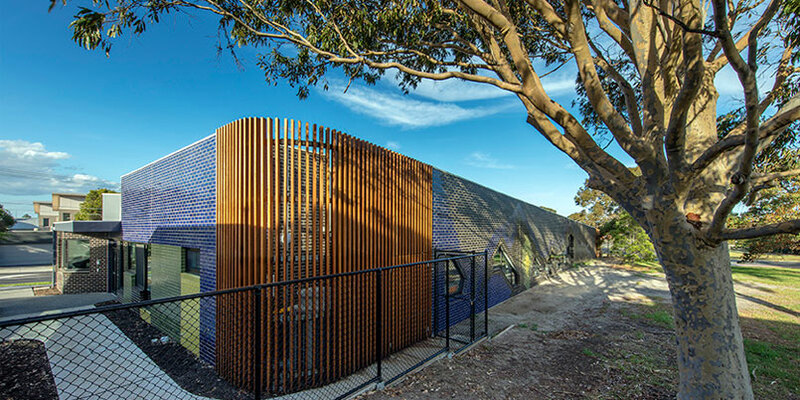 The site is in the Indigenous Australian people's cultural coastal area and the rear wall acts as an interface between the Preschool and the parkland. 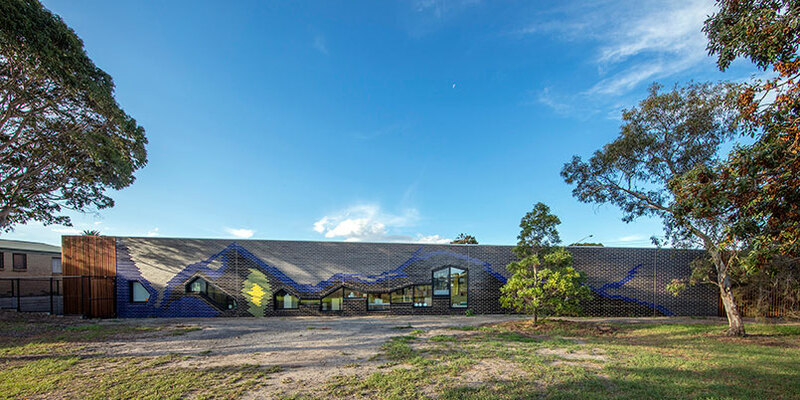 The patterned brick mural makes reference to the neraby creek and the locality's Indigenous Australian people's presence and history. 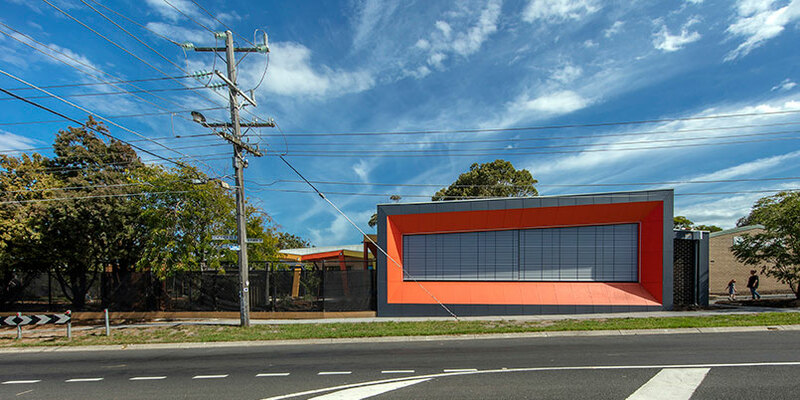 The oval shaped patch of earth coloured bricks in the gap between the windows represents the trees used by Indigenous Australian peoples to make bark canoes. 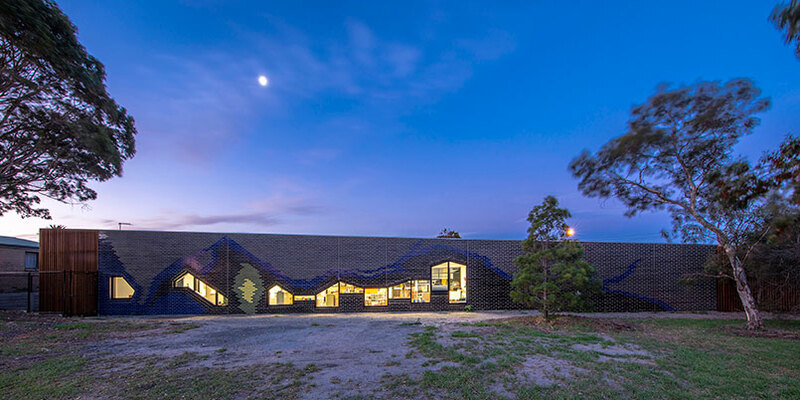 The windows work around the mural's flowing creek and they move up and down to cater for the varying low and high storage cupboards and benches behind the wall.